With Pan India Presence we are India's Leading Consultant carrying out Power Quality Audit and Power System Audit for identifying any problems in power or annual mandatory audit. Backed by expertise of over 30 years using most sophisticated equipment we are able to carry out power quality audit with precision. With Pan India Presence we are India's Leading Consultant carrying out Power Quality Audit and Power System Audit for identifying any problems in power or annual mandatory audit. 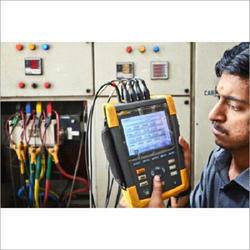 Backed by expertise of using most sophisticated equipment we are able to carry out power quality audit with precision. - The time-current coordination analysis will be performed with the aid of computer software intended for this purpose, and will include the determination of settings, ratings, or types for the over-current protective devices supplied. Magnaflux provides consultancy in power usage and saving by carrying out power audits at customer’s site. After studying the load details and its nature Magnaflux suggest correct rating of UPS System to be installed. 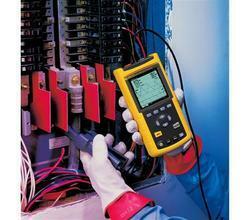 We are one of the notable service providers of the industry indulged in rendering Power System Audit to our patrons. Presented by us in multiple standard and modified stipulations, these services could be acquired form us at inexpensive rates. Not only this, due to their promptness and hassle free delivery, these are highly in demand.